There is a fundamental principle called constructive interference. It has to do with the coherent influence of multiple radiators, such as when more than one loudspeaker or radio antenna is playing the same music. The individual sound waves from each source combine to make a bigger wave; the power is proportional to the square of the height of that combined wave. Therefore, the radiated power when you move loudspeakers together grows in proportion to the square of the number of loudspeakers—in this case, you get the power of nine loudspeakers by moving three of them together. The same will be true with any group of coherent radiators, whether loudspeakers, antennas, or number of people meditating, which helps explain why only the square root of a certain percentage (1 percent) of a population is enough to have a repeatable and demonstrably measurable effect on, in the case of our meditation assemblies, rates of violence. In the United States, the square root of 1 percent of 300 million citizens is only 1,732 people. But how we do have such an influence on one another at a distance? There are no clear answers yet, but I believe that the clue lies in the notion that beneath the physical levels of human existence—our bodies and the quantum realm of molecules, atoms, quarks, and leptons—is a unified field of pure, abstract, universal consciousness. It’s at this level of reality, this level of nonlocal mind, where you discover that the qualities of space are, at least in theory, capable of accommodating extraordinary experiences. As you get way down there, space starts to change. It starts to roil and boil in what’s called space-time foam. And in this space-time foam, this continual frothing and upheaval of space-time geometry, wormholes get created. These wormholes do not obey Einsteinian causality. You’re able to influence things in the past as well as the future. In addition to the particles and forces we know and love—gravity, electromagnetism, and so forth—there are additional forces and particles that we don’t see, but they fill the room. It was once thought that these were irrelevant to human life because they only interacted with us gravitationally, which is too weak to be of any interest. But if you do the calculations properly in the context of the superstring, you find that they also interact with us electromagnetically, even if rather weakly. This means that surrounding us in this room is a dimly lit world—dimly lit from our perspective, not dimly lit from its perspective. We are dimly lit from its perspective. And in that dimly lit world there may be, and probably are, bodies and objects and things—and some very interesting mechanisms—that we don’t have in our observable-sector world and yet are very effective radiators or communicators over vast distances. This is not science fiction; it is demonstrable using the mathematics of superstring theory. A physics of subtle bodies—of thought—is emerging that is very new, very exciting, and suggests additional mechanisms for long-range interactions between people. It suggests that we live in predominantly flat space, and that this space is crisscrossed by shortcuts that provide paths of instantaneous communication across vast distances, even into the past or the future. If we assume that at our core level of being we are all intimately connected in a unified field where we are all one, it becomes very easy to understand how we influence one another. And when we contact this unified field of being, we enliven that unity, that harmony, and that coherence in the collective consciousness of society. And by doing so, everybody seems to flow more harmoniously together. —The preceding was excerpted, abridged, and edited from a talk given by Dr. Hagelin in Holland and videocast at an IONS regional conference on February 18, 2007, in Tucson, Arizona. Matthew Gilbert: In thinking about this phenomenon and related research, would you say that intention is an aspect of it? It occurred to me that intention may have nothing to do with these effects, that they are the result of a general, undifferentiated resonance shift without specific purpose. Ken Chawkin: You raise a very interesting point. The Demonstration Project that John Hagelin led in Washington, DC, in 1993 had an associated prediction: that meditation would lower the severe crime rate. Same thing with the Israel-Lebanon war in 1987. Would you call each of those an intention? The only role that intention plays in Transcendental Meditation (TM) is that one does the specific technique; participants don’t intend anything in the outside environment. If anything, they are told to “mind your own business,” which means focusing inward and on the practice. The outward effect is a lessening of negativity in the surrounding environment; the larger the group, the greater the extent of their influence. David Orme-Johnson: Just to reinforce what Ken said: During TM there are no specific intentions for any specific effect, only the intention to do the simple procedure. The TM-Sidhi program does entail specific intentions related to specific predicted outcomes—for example, to gain some perceptual abilities or to “fly” [an advanced TM-Sidhi technique]. But these are all personal results that the person wants to have. There is no intention to achieve a specific collective effect. In contradistinction to techniques that have an intention to produce some specific effect (such as healing a particular person or praying for world peace), the intention of TM and TM-Sidhi is to simply get to pure consciousness and to leave the outcome to that level. It’s akin to “Let Thy Will be done” as opposed to “Please God, I would like such and such.” Unlike prayer, there is no God concept or intentional verbal thought involved. 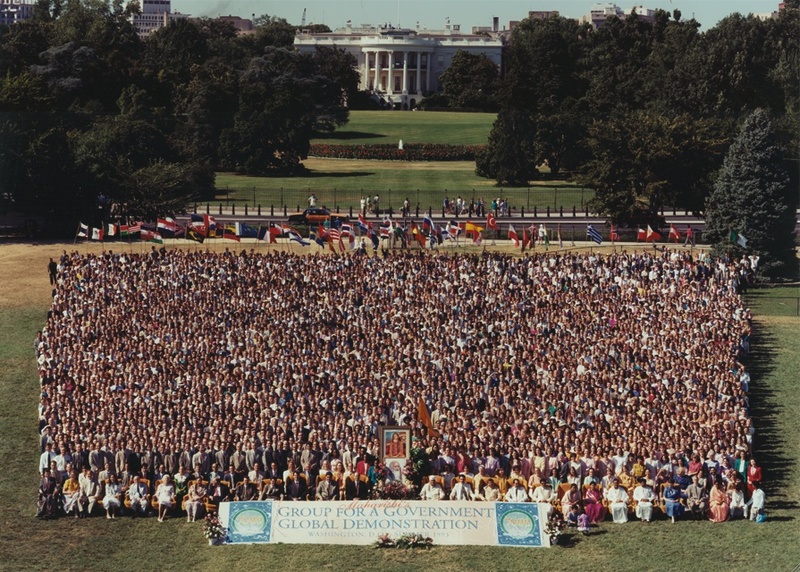 Having said that here, Maharishi Mahesh Yogi [who brought TM to the West] once commented that we call our gatherings “World Peace Assemblies” and that people come to them with that outcome in mind. And there are large banners in the meditation halls that say “World Peace Assembly” or “Invincible America Assembly” as a kind of reminder of why we are there. And there are predicted outcomes about such things as crime rates that some or perhaps most of the course participants have heard. But it’s not something that one thinks much about, and certainly it isn’t a part of the techniques themselves. Maharishi explains that it is like going to the store. You have that initial intention, but you don’t think at each step of the way, “I am going to the store . . . I am going to the store . . .” You put it on automatic. The mechanics of it are very subtle. There are no specific intentions about specific impacts on society in any part of the program, but the overall intention of being in these assemblies is to make things better in a somewhat specific way, such as world peace. We are hoping for the best but leaving it to God, if you will, to define what is best and to work out how to accomplish it. What we have to do is raise our own level of consciousness. MG: The other question I have is whether violence-reduction measurements are taken in a particular place (for example, Washington, DC) because it’s more conducive to these techniques or whether in theory the same effect would be found everywhere. DOJ: In theory the effect would be found everywhere. The limitation is available variables. Crime is one variable that is systematically kept. Additionally, since our primary goal is world peace, we focus on stopping violence as a first step. Obviously, we also want economic prosperity, equity, justice, and a reduction in racial and cultural tensions—the (Maharishi Effect) theory predicts that everything will improve globally. The challenge is how to measure it. KC: We also noticed that once our groups were pulled out of an area, the violence would return to historical levels. We want to create permanent world peace and not just a momentary quelling of violence in a specific area. To that end, large groups are being set up in many countries, especially in India and the United States. An added feature is to have these groups functioning from the geographical Brahmasthan (in Vedic tradition, the “central point”) of each country because the effect then becomes that much more powerful. Ken Chawkin is media relations officer at the Maharishi University of Management. 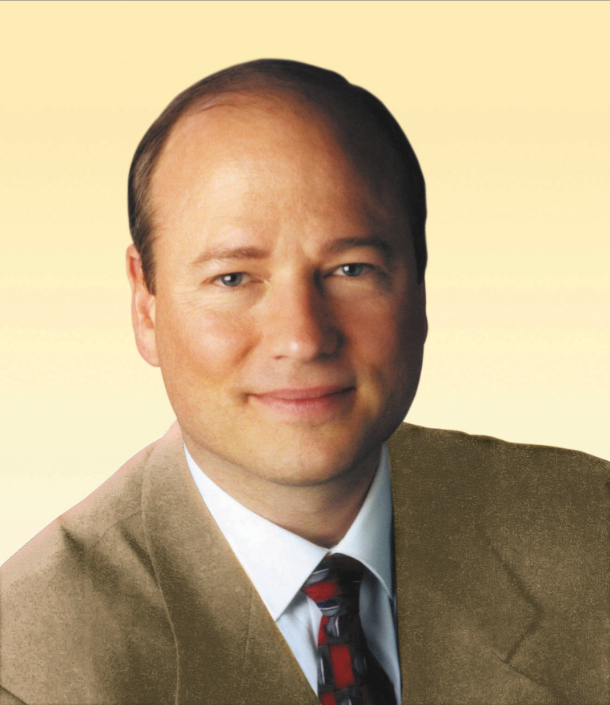 David Orme-Johnson, PhD, is one of the world’s most published researchers on the Transcendental Meditation technique. “The Power of the Collective” by John Hagelin, PhD, appeared in Shift: At the Frontiers of Consciousness (No. 15, June–August 2007, pp. 16–20), the quarterly publication of the Institute of Noetic Sciences (IONS), and is reprinted with permission of the author (http://hagelin.org) and IONS (Websites: www.noetic.org and www.shiftinaction.com), all rights reserved. Copyright 2007. See: The Huffington Post article, posted: 9/11/11 02:04 PM ET: 9/11: Have We Overlooked the Most Effective Way to Prevent Terrorism and War? It contains a video of John Hagelin explaing A New Approach To Averting Terrorism And War, which is also found on YouTube: Can group meditation bring World Peace? Quantum Physicist, John Hagelin explains. Read about Declining US violent crime baffles authorities, but not the Transcendental Meditators in Iowa. And a video explanation: A scientific introduction to Transcendental Meditation (TM) by Dr John Hagelin. This entry was posted on June 15, 2011 at 4:45 pm and is filed under Articles, Peace. You can follow any responses to this entry through the RSS 2.0 feed. You can leave a response, or trackback from your own site. Curious If you have already or would be so kind as to respond to this. Thank you. “The Effect of Meditation on Violent Crime in Washington, DC. John Hagelin, PhD, describes a study he did in Washington in 1992. 4000 volunteers regularly meditated to achieve a 25% drop in violent crime by the end of summer. He claims the drop was achieved. But Hagelin’s use of the term “achieved” for the drop in crime is a bit strong. He announced in 1994 (one year after the study) that violent crime had decreased 18%. You might think that meant there were 18% fewer violent crimes than in the previous year, but the decrease was actually relative to his predicted increase based on some fancy statistical footwork. Regular indicators of violent crime told a different story — the number of murders actually went up. The events in society are so many, varied, and complex that in order to show change you have to take into account the overall volume of events and the range of there variation. The statistics do that, they are not fancy footwork. 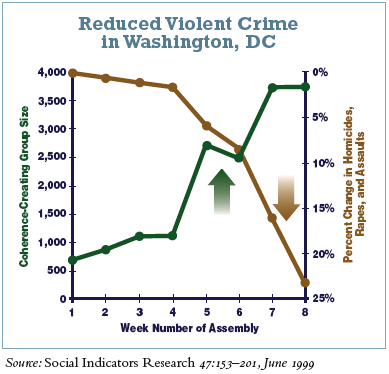 In the DC study, for example, we found that violent crimes decreased 23%. Taking the initial level to be 100%, that means that crime went from 100% to 77% of what it was. That is a big decrease, lots of violence averted. But it does not mean that there was no more crime. There still was 73% of crime. That is lots of crime in the DC area. But it is 23% less that it had been or was predicted to be given the dynamics of change at the effects of temperature in that study. For more technical discussions of the issues around the Maharishi Effect Research, see my website, Societal Effects: Scholarly Exchanges on the Maharishi Effect: Critics and Rebuttals.